The festival site at Daresbury in Cheshire has been closed and revellers told to leave the site after the heavy downpours over the last 24 hours flooded the area, police said. Widespread torrential downpours battered the UK's shores on Saturday with up to an inch of rain falling in some places. 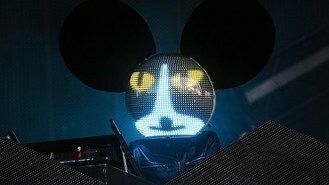 Deadmau5, Tiesto and Groove Armada are among the acts that had been due to play on the festival's last day. But organisers warned people via Twitter and Facebook that the site was closed and people with day tickets should not travel. In a message posted on www.creamfields.com they said: "Following heavy rainfall over the last 24 hours, significant and heavy flooding is affecting the Creamfields arena near Warrington. Cheshire Police said the site had seen "significant and heavy flooding" that was also affecting nearby roads. They said extra public transport was being laid on to help festival-goers leave the site.